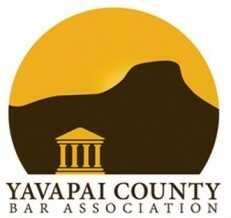 Mr. English was elected as secretary of the Board of Directors for the Yavapai County Bar Association (YCBA). Elections were held October 2013 for all current Board positions. YCBA is the voice of Yavapai County’s diverse legal community and works to support and inform their 210 attorney members and numerous associate members, as well as members of the public. YCBA offers programs for attorneys that provide current knowledge and up-to-date tools to expand and enrich their practices. They also have public programs to help the public to find qualified lawyers, resolve disputes and gain knowledge about their legal rights and responsibilities. The mission of the Yavapai County Bar Association is to serve the community and enhance the legal profession by promoting the competency, ethics and professionalism of its members. For a full listing of the YCBA Board of Directors, view their website here.